Dr. Glenville is a popular international speaker. As a respected author on women’s healthcare she gives regular talks on radio and frequently appears on television and in the press. 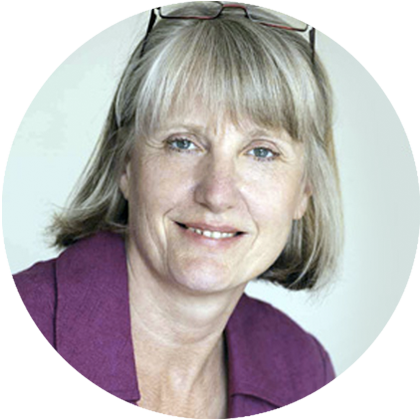 For over thirty years Dr. Glenville has studied and practiced nutritional medicine specialising in the natural approach to female hormone problems. With her special interest in the female hormone cycle, Dr. Glenville works with women who suffer menstrual problems such as heavy periods, painful periods, PMS, fibroids, PCOS and endometriosis, and who wish to work on a nutritional approach to these problems. Dr. Glenville also helps couples who are having difficulty conceiving or having recurrent miscarriages and women looking for a natural approach to the menopause and prevention of osteoporosis. Dr. Glenville is the author of 13 internationally bestselling books (see below) many of which have become the standard reference books for practitioners and have sold over 1 Million copies which have been translated into over 20 languages. Dr. Marilyn Glenville works in the UK in Harley Street, London and Tunbridge Wells, Kent; and also has practices in Dublin, Cork and Galway in Ireland. For more information on specific health problems see Dr. Glenville’s website www.marilynglenville.com.